We all know the hassle of being in a grocery store and frantically digging through our pockets and purses for our shopping lists. 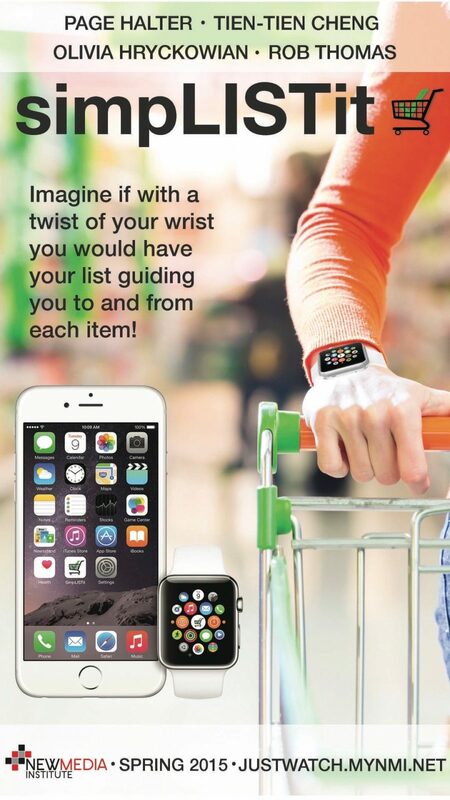 Imagine if with a twist of your wrist you would have your list guiding you to and from each item! simpLISTit is an Apple Watch app that will better the shopping experience for everyone. This app will provide a place where you will be able to quickly access your shopping lists that you created on through the iPhone. Once you enter the store, the list on your watch will be ready to use, taking you from each item based on which item you are closest to. The app is also very user-friendly with simple to use interactions and gestures creating a personable experience on a personal device.